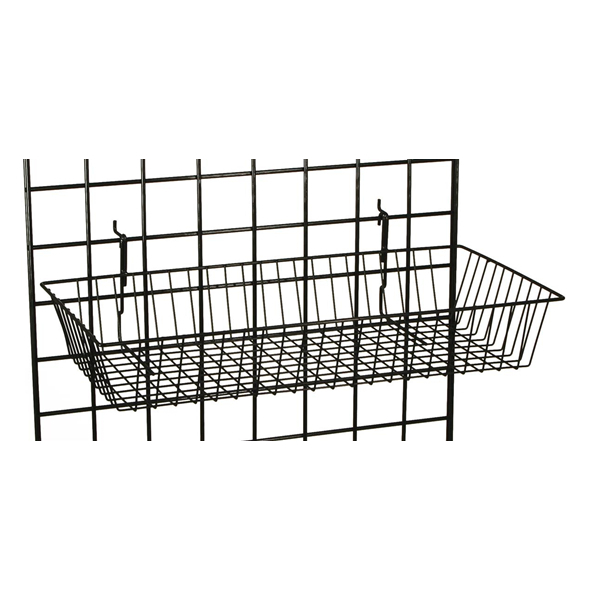 These gridwall baskets measure in at 24" long, 12" wide and 4" deep. 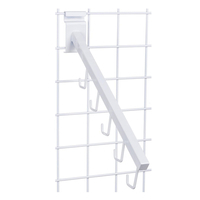 These roomy holders for retail goods are perfect for showcasing small-to-medium size articles. 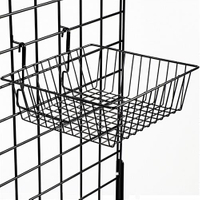 These economical retail store fixtures, gridwall baskets are great alone or in conjunction with other grid wall accessories. 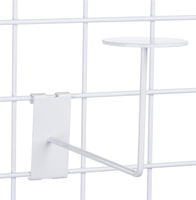 Impulse items are often displayed in these kinds of retail store fixtures. 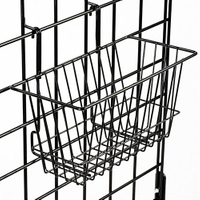 Gridwall baskets make effective holders for bags of chips, cookies, sodas or candy. 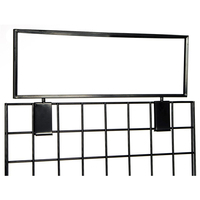 Specialty stores frequently use them for sporting goods, children's toys, travel-size toiletries or even locally branded items for tourists. 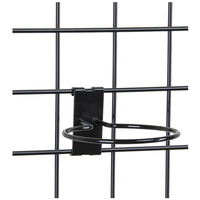 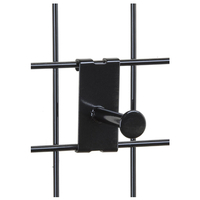 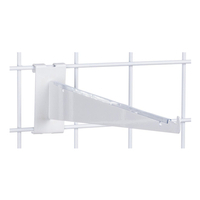 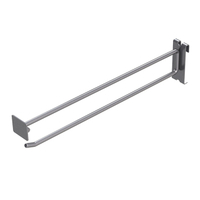 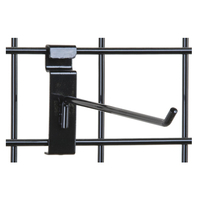 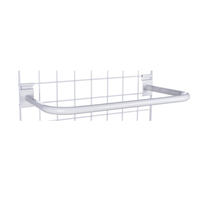 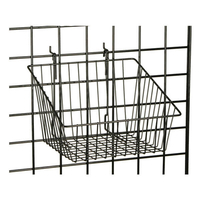 These gridwall baskets for retail display, also known as wire panel POS displays, attach easily to grid wall panels because they incorporate hooks at the back. 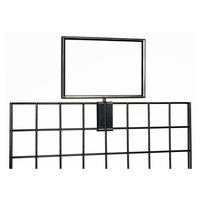 These retail store display fixtures are versatile containers that are perfect for encouraging customers to browse. 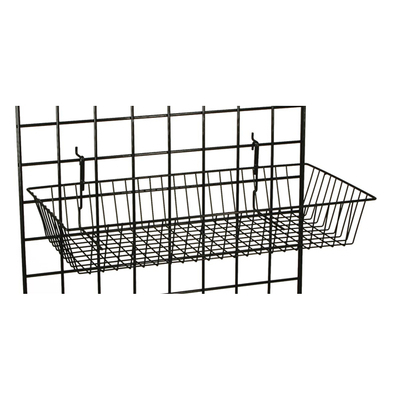 These versatile and durable displays, steel gridwall baskets, are easy to install and move as needed for custom merchandising. 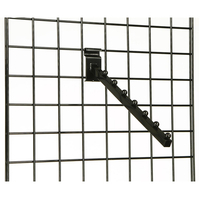 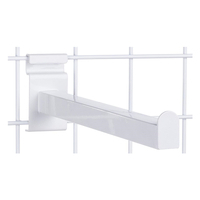 Economical slatwall or grid wall accessories can be used to create store-specific advertising areas. 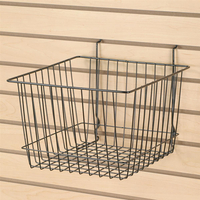 These gridwall baskets that are inexpensive can be used in conjunction with other retail display fixtures with ease.